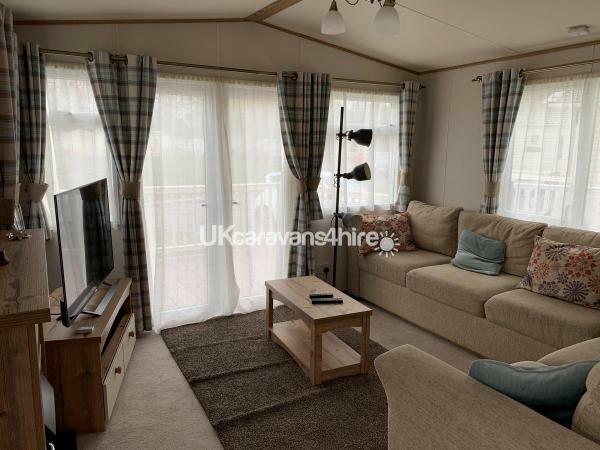 Additional Info: A brand new beautiful, stylish and welcoming Caravan with all modern conveniences. 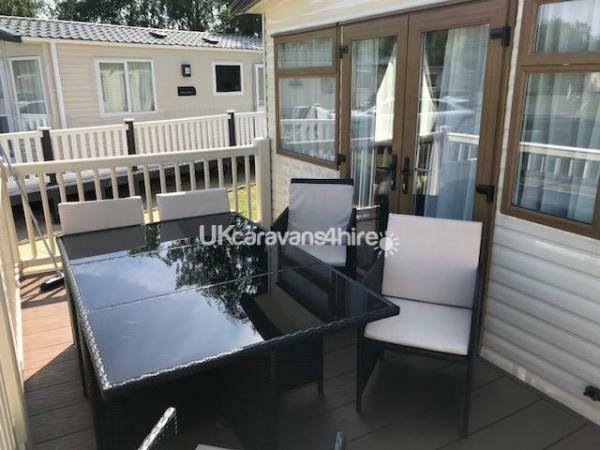 This caravan has a top of the rang Hot tub and decking to the out side, double patio doors leading of the main living area. A master bedroom with en-suit bathroom (with a bath), a twin bedroom and sofa bed in the front room for extra sleeping space, this is a light and comfortable space for any couple or family. 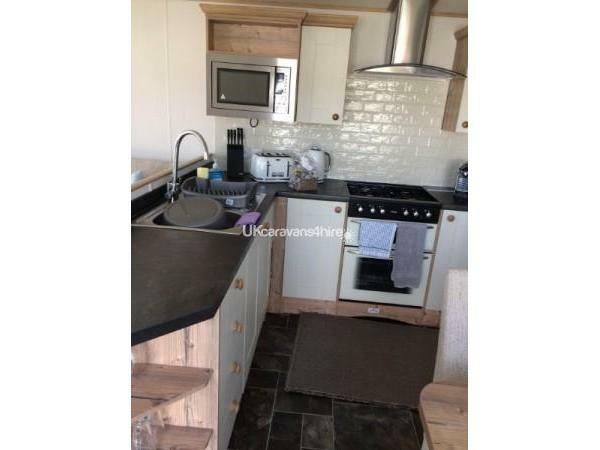 The kitchen is well equipped with integrated cooker and hob, microwave and fridge/freezer. A £50 deposit is needed upon booking with the balance due 4 weeks before arrival. There will be a breakages fee of £100 that will be refundered after a full and satisfactory inspection of the holiday home has been carried out. The deposit will not be refundered in the case of cancellation. IN LINE WITH THE PARKS RULES WE DO NOT ALLOW GROUPS OF YOUNG PEOPLE, HEN OR STAG PARTIES. SOME ONE 21 YEARS OF AGE OR OVER MUST TAKE RESPONSIBILITY FOR THE GROUP. ALL RULES MUST BE ADHERED TO. Membership passes are required to use the parks facilities these can be purchased at the main reception. THESE ARE NOT INCULDED IN THE PRICE. 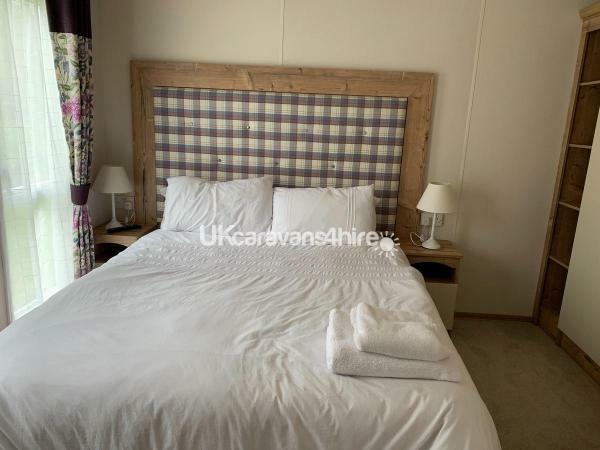 The Elan Six berth holiday home is the ultimate in style and comfort. The open planed living space is well designed and has more than enough space for 6 people. There are two bedrooms and 2 bathrooms. 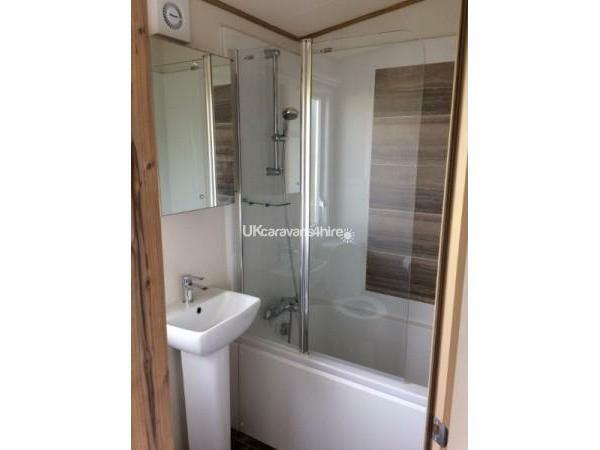 The master room has an en-suit with bath and shower, the second bedroom is a twin room. There is also a futher family shower room. 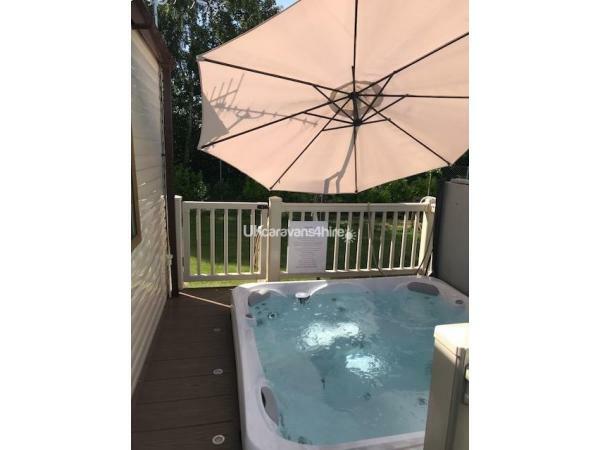 There are double patio doors leading from the living room out on to decking that sweeps around the outside of the home to the side where the 5 start hot tub is situated and is kept to the highest standard. There will be tea and coffee on your arrival and the bedding and towles are provoided for use inside the Holiday home only, please bring your own beach towles.There will also be mini toiletries provided. 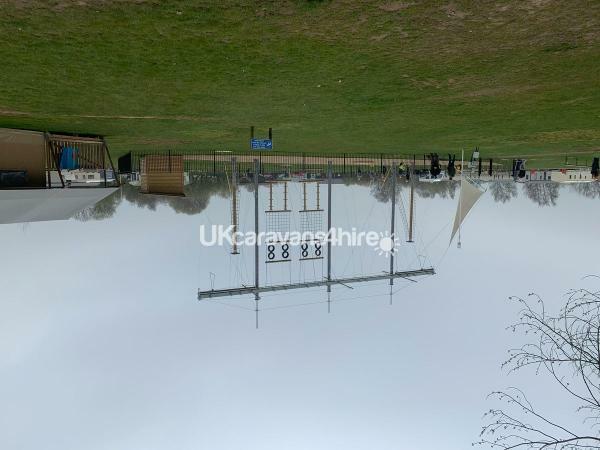 Tattershall Lakes County Park is a perfect location for any type of Holiday, whether you are looking for a fun filled adventure for the family or a peacful get away for two, you will find it all here!! 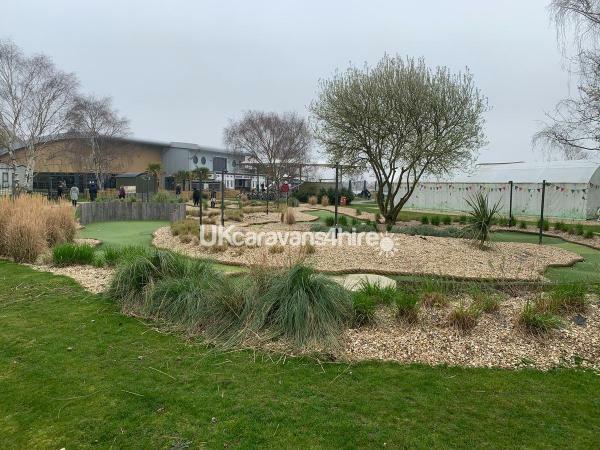 The park offers beautiful senice walks and there are fishing lakes or take advantage of the spa and gym (booking treatments early is advisable to avoid disappointment) there is also 18 hole golf course and outdoor entertainment area. 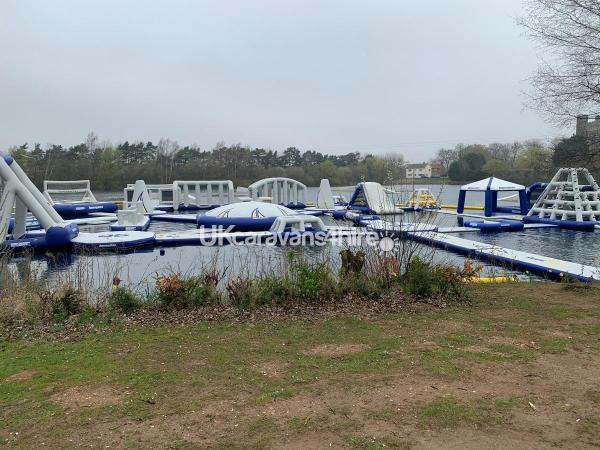 For adventure seekers there is an indoor swimming pool, sports court, in and outdoor play areas and lakes that are set aside for water skiing, wakeboading, jet skiing. There is land zorbing, adventure golf and much, much more. Onsite there is also a laundret, supermarket and resturant. In 2016 the park under went exstensive renovations and the £12 million that was put in to this project shows. From the man made beach and lake side hot tub to the extended club house this truly is the stuff memories are made of! please see Tattershalls own web site for more indepth details. Additional Info: There is a membership pass require which can be purchased from the main reception. Beautifully situated in the picturesque wood and Lincolnshire parkland, this fabulous park is perfect for the family holiday. With a 18 hold golf course, splash zone, spa, gym and sauna, children's play area, lakes set aside for jet skiing and other water sports, two lakes for fishing and a man made beach with out door entertainment area, family day time and evening entertainment, bars and eateries - there is something for everyone. Off site Historical Lincoln, with its magnificent cathedral, shopping and entertainment, is just 24 miles away. The coast, wood hall spa, Tattershall castle and the battle of Britain memorial fight are also near by you will be blown away with the quality of the place. Had a lovely stay. 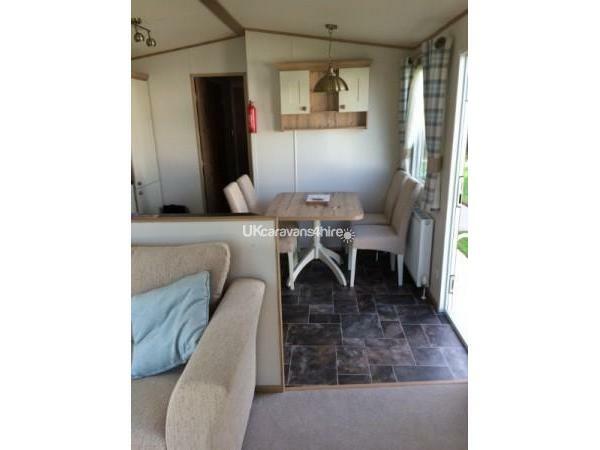 Caravan is very nice, modern and homely. 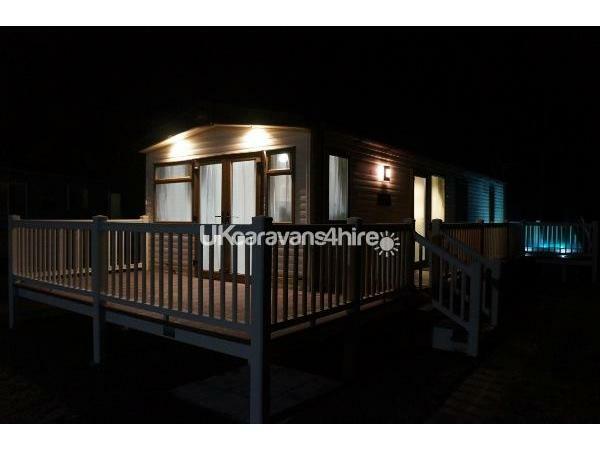 Outside veranda was brilliant going round the caravan and hot tub was superb. 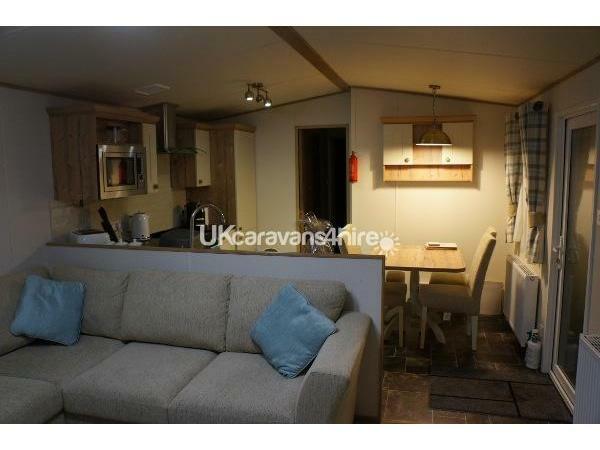 Its also on a great pitch nice and quiet but not too far from amenities.